The input is the frequency at 0,v , it is set in unit of % with max . output frequency taken as 100% please referee to h3- 11 . SIGNAL LEVEL SELECTION TERMINAL 16 . Please see the signal level of multi functional analog input 0:0~ + 10 volt [11 bit +polarity positive / negative ) input ] 1: 0 ~+_ 10 volt (negative voltage , it becomes the opposite direction operation ) . MULTI FUNCTION ANALOG INPUT TERMINAL 16 . It is used to set the function of multi functional analog input terminal 16 . set the signal level deviation , gain of the analog input in the following contacts . input gain of multi function analog input terminal 16 , ( h3_06) . input 0 t set of multi function analog input terminal 16 , ( h3_07 ) . signal level selection of frequency command ( current ) terminal 14 , h3 _ 08 ( 0~+ 10 volt or 0~ +_10 volt or 4~ 20 m a ). input gain of frequency command (current ) terminal 14 , ( h3-10) . input offset of frequency command ( current ) terminal 14 , ( h3 – 11 ) . when input the voltage to the frequency command ( current ) terminal 14 , please make sure to cut off the overlie on control paced . if not to cut off the overlie the input resistor will be burned . when primary delay filter was connected to analog input please set the time constant . it is applicable to the entire three analog input terminals . the setting of 2 and D cannot be set at the same time otherwise ope 07 will not be detected . Off = inverter has no output frequency baseblock, dc brake, initial excitation . 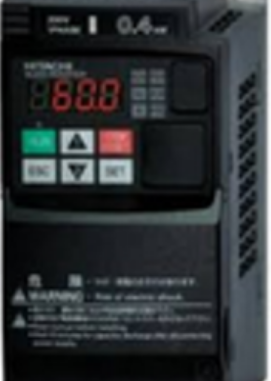 On = inverter has frequency output . Off = the electronic thermal protection value of the motor protection is less than 90% of the detection level . On = the electronic thermal protection value of the motor protection is above 90% of the detection level . adopting electronics thermo sensor it is effective only when motor,s overload protection function is effective (l1-01) . it can be used as overheat pre alarming prior to the protection function . PRELIM OF INVERTER OVERHEAT OH ,( SETTING :20 ) . Off = the cooling fan,s temperature is less than the value of l8-02 . On = the temperature of the cooling fan is above the value of l8-02 . ZERO SERVO ENDS ( SETTING :33 ) . Off = zero servo command is not input or zero servo control position is not finished . On = the position has been brought within the zero servo completion width (b9-02) after the zero servo command was input . To output whether zero servo position control ends or not . The position has been brought within the zero servo completion width (b9-02) after the zero servo command was input . SIGNAL LEVEL SELECTION (TERMINAL 13 )( H3-01) . Frequency command (voltage ) terminal 13 ,s signal level setting 0:0~+ 10 volt (11 bit + polarity positive / negative ) input 1:0~+- 10 volt when the voltage is negative it becomes the operation command with direction opposite to the commanded operation direction . Note : frequency command ( voltage ) it is effective when b1- 01 ( frequency command selection) is set to be 1 . to set the signal level of frequency command ( voltage ). GAIN TERMINAL 13 (H3-02) . Set the frequency at 10 voltage in unit of % with max , output frequency taken as 100% . please see h3 -11 .
setting value 30 function is torque limit (current limit)( on ,in current limit ). setting value 31 function is in speed limit ( on , in speed limit ) . setting value 33 function is zero servo is over ( on , zero servo is over ) . setting value 37 function is in operation 2 ( on , inverter outputs frequency off : base is locked , brake by dc excite initially inverter stops ) . Regarding the below function , please refer to the related section . setting value 2 function is frequency (speed ) conformity 1, and reference project is constant L[the setting of frequency detection function :L4-01~05] . setting value 3 function is any frequency ( speed ) conformity 1 , and reference project is constant L[the setting of frequency detection function :L4-01~05] . setting value 4 function is frequency ( fout ) detection 1> , and reference project is constant L[the setting of frequency detection function :L4-01~05] . setting value 5 function is frequency ( fout ) 2 < , and reference project is constant L[the setting of frequency detection function :L4-01~05] . setting value b function is torque detection no , and reference project is constant L [ the setting of over torque detection function : L6-01 ~06 ] . setting value c function is frequency command missing , and reference project is constant L[ the setting of timing function : b4-01 ~ 02 ] . setting value 12 function is timing function output , and reference project is constant L[ the setting of timing function : b4-01 ~ 02 ] . setting value 13 function is frequency ( speed ) conformity 2 , and reference project is content L[the setting of frequency detection :L4-01~05] . setting value 14 function is any frequency ( speed ) conformity 2 ,and reference project is content L[the setting of frequency detection :L4-01~05] . setting value 15 function is frequency ( fout ) detection 3 > ,and reference project is content L[the setting of frequency detection :L4-01~05] . setting value 16 function is frequency ( fout ) detection 4 < , and reference project is content L[the setting of frequency detection :L4-01~05] . setting value 17 function is over torque detection 1 nc , and constant L [ the setting of over torque detection function : L 6 -01 ~ 06 ]. setting value 18 function is over torque detection 2 no , and constant L [ the setting of over torque detection function : L 6 -01 ~ 06 ]. setting value 19 function is over torque detection 2 nc , and constant L [ the setting of over torque detection function : L 6 -01 ~ 06 ]. Regarding the below function , please refer to the function table of multifunctional output . setting 6 function , inverter is ready for preparation . setting 7 function is in low – voltage ( uv ) detection of main circuit . setting 8 function is in base locking . setting 9 function is frequency command selection status . setting A function is operation command selection status . setting D function is malfunction of braking resister . setting E function is fault . setting 10 function is minus fault . setting 11 function is in fault reset . setting 1A function is in reverse operation . setting 1B function is base locking 2 .
setting 1D function is in regeneration operation . setting 1E function is fault reset retry . setting 30 function is in torque limit ( current limit ). setting 31 function is in speed limit . In operation ( setting :0 ) . off = operation command is off and there is output voltage . on = there is voltage output either when operation command is on or off . off = maximum output frequency shall be lower than output frequency ( e1-09 ) [ vector control with pg motor speed is higher than zero – speed level ( b2-01 )]. on = output frequency is lower than output frequency ( e1=09)[vector control with pg motor speed is bigger than zero – speed level (b2-01) ] .